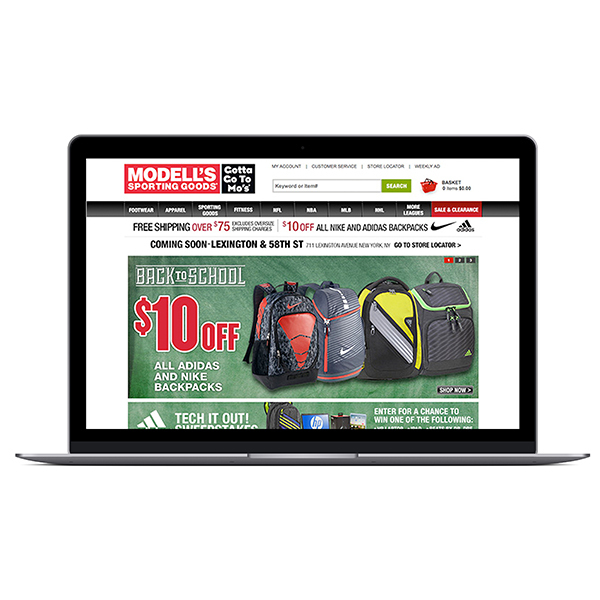 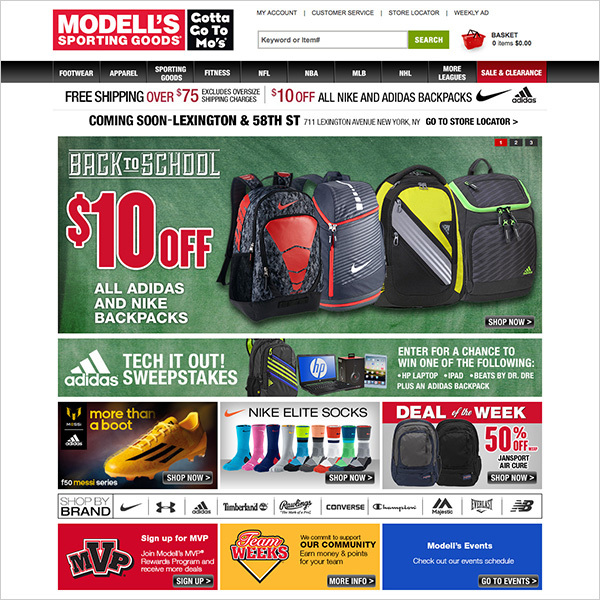 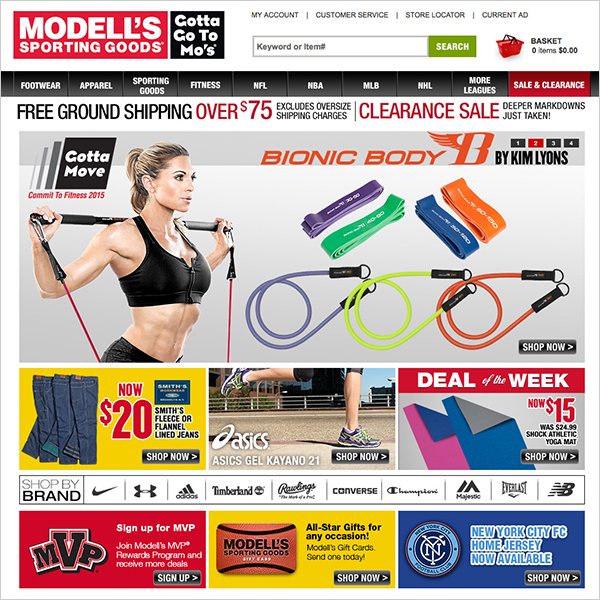 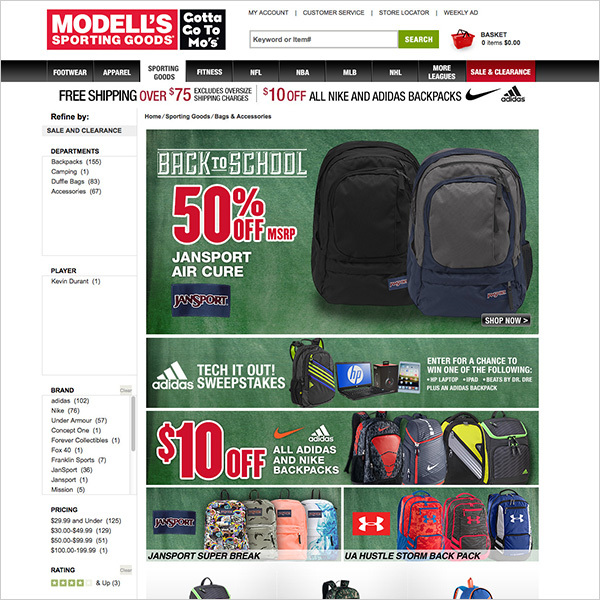 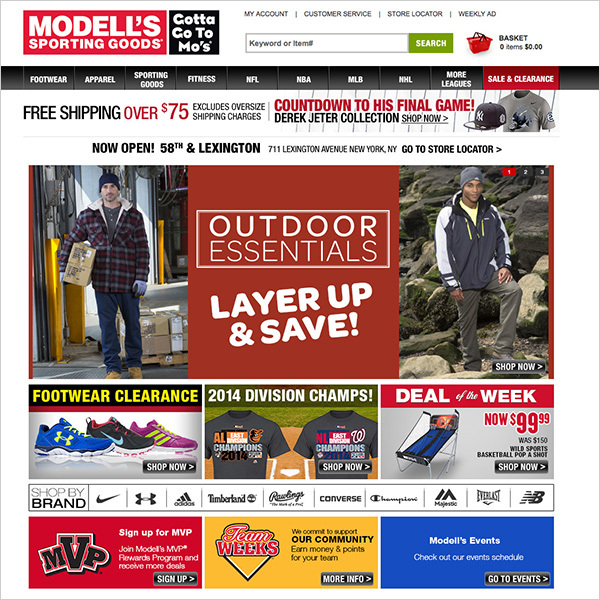 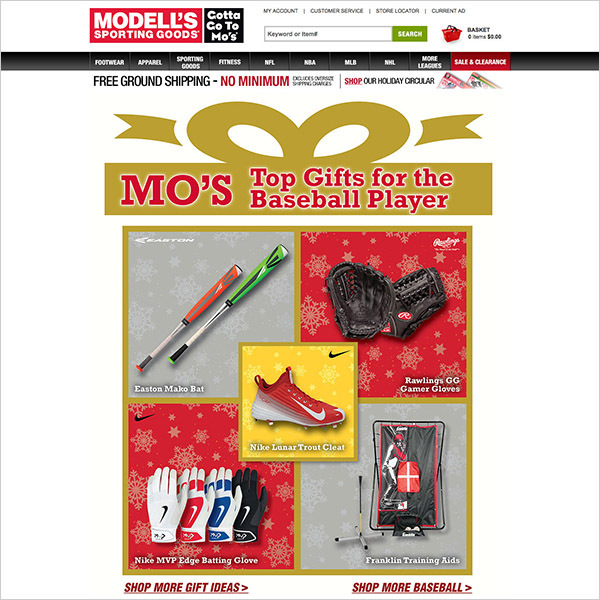 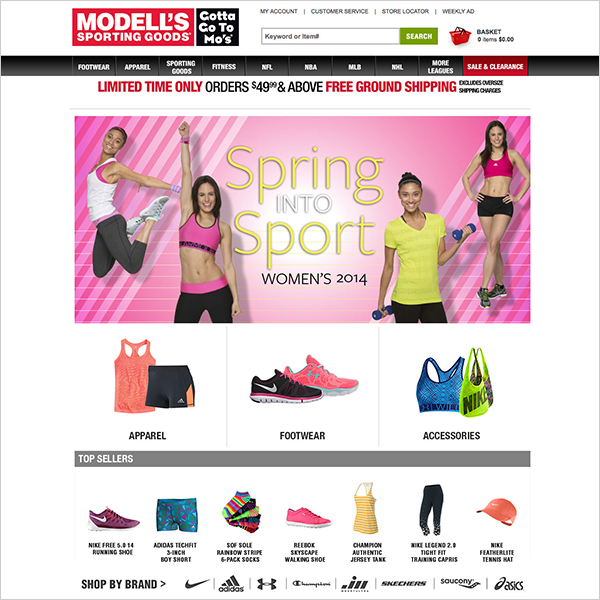 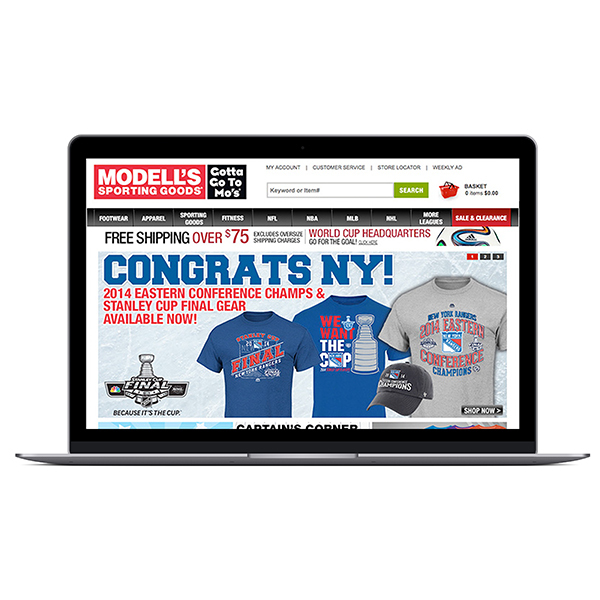 While heading up the creative services department at Modell’s Sporting Goods, we worked on all cross-channel marketing campaigns. 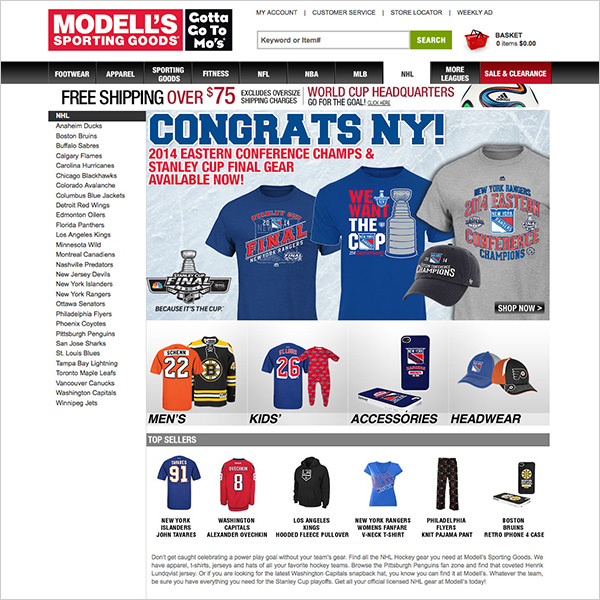 Obviously one of the biggest efforts was supporting the e-commerce business on Modells.com. 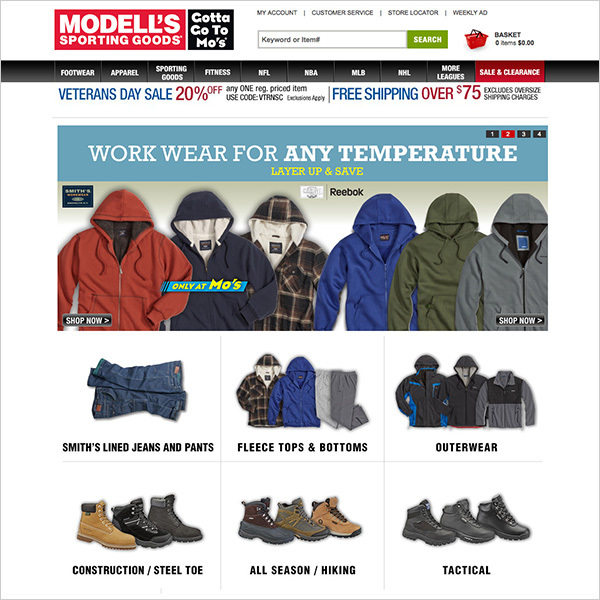 Working with the e-comm department, web designer Kanako “Kiki” Sueyoshi, under my creative direction and/or/plus Peter Ahn’s art direction, designed and updated the bi-weekly updates to the website. 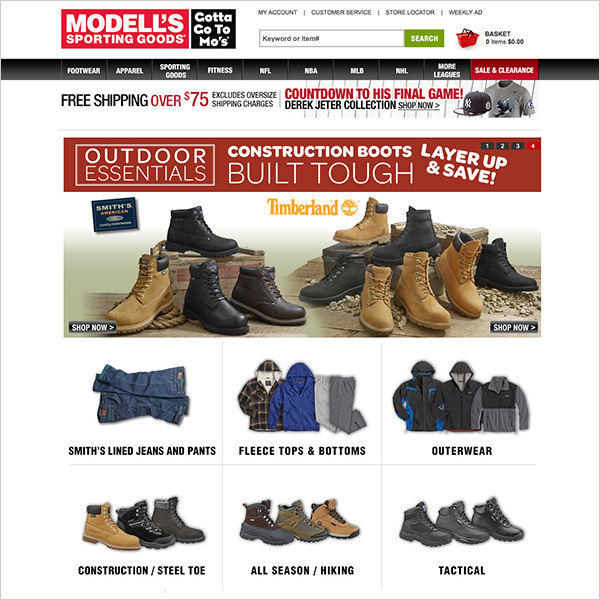 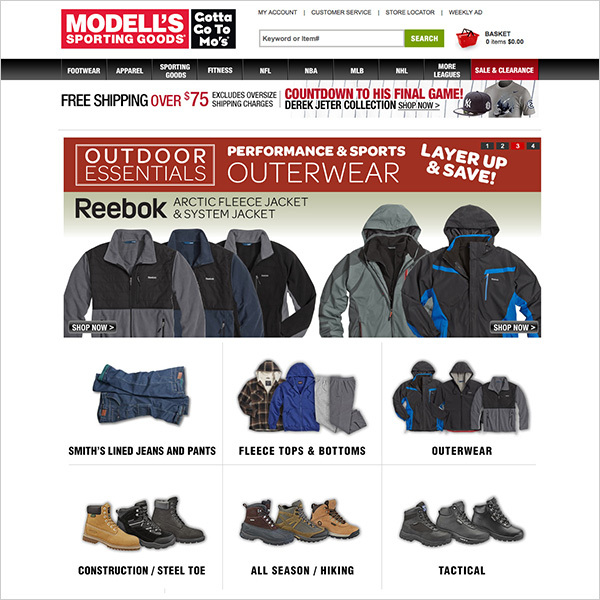 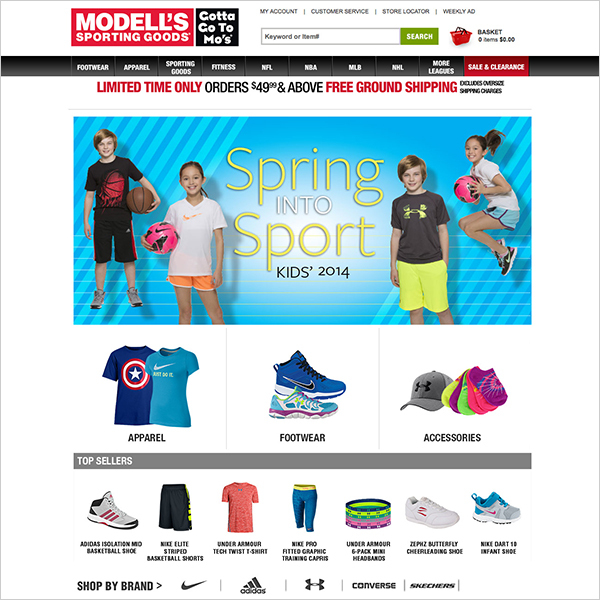 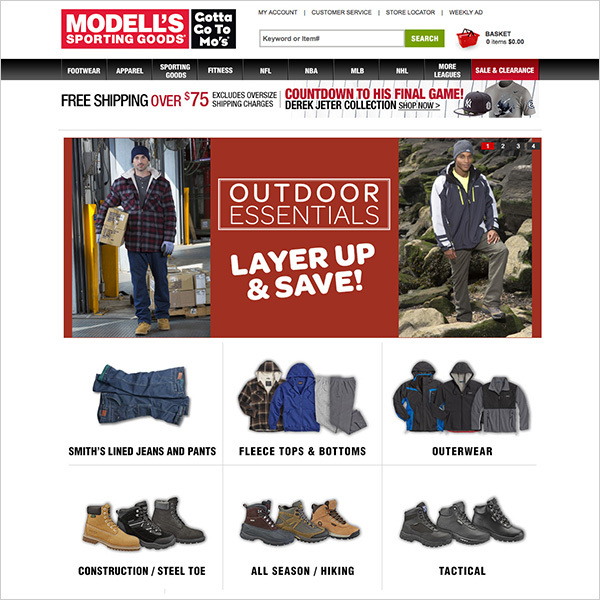 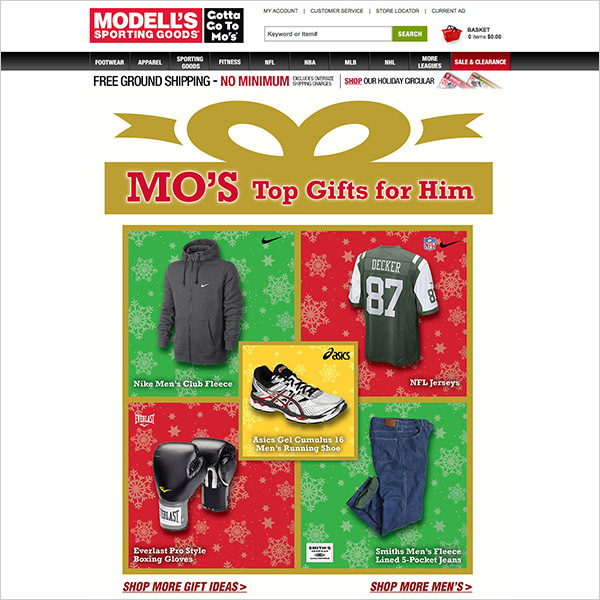 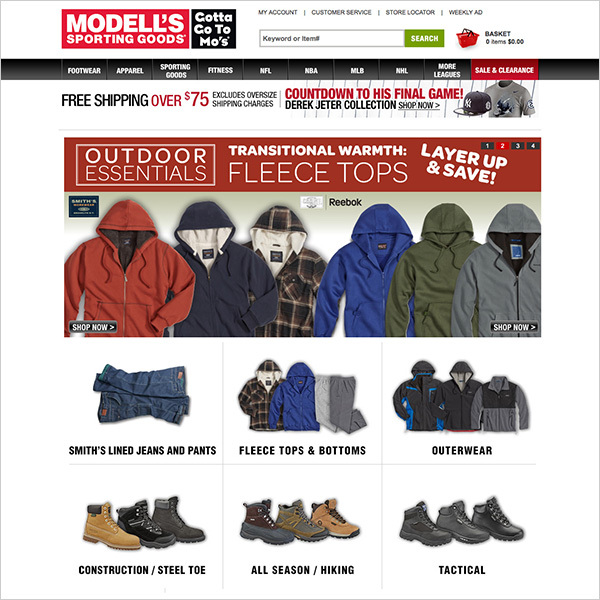 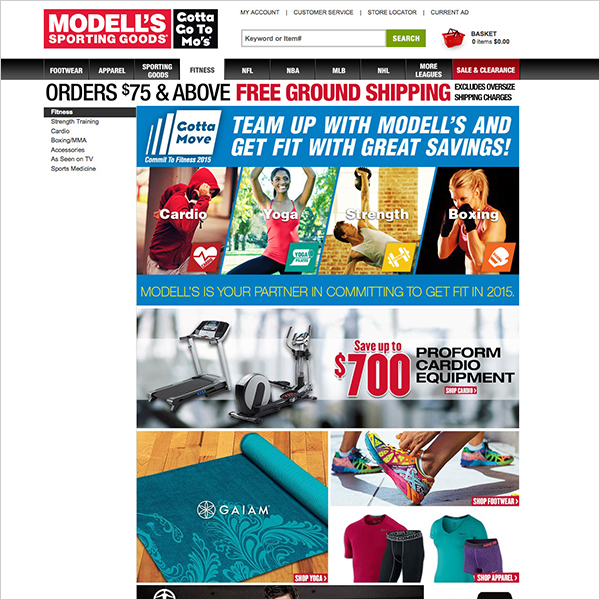 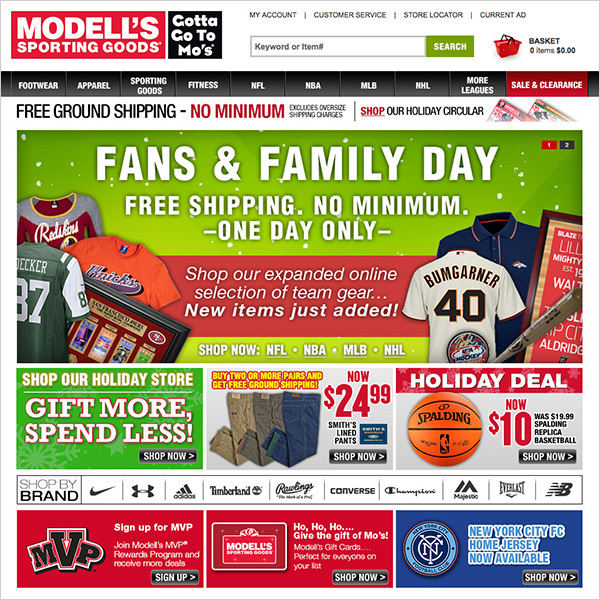 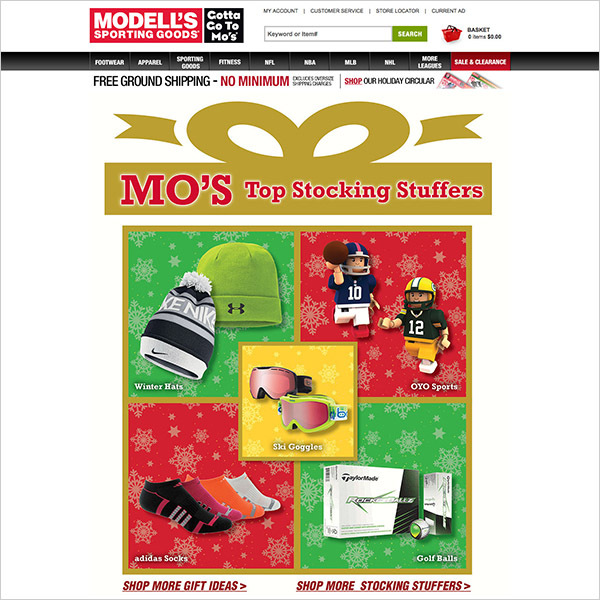 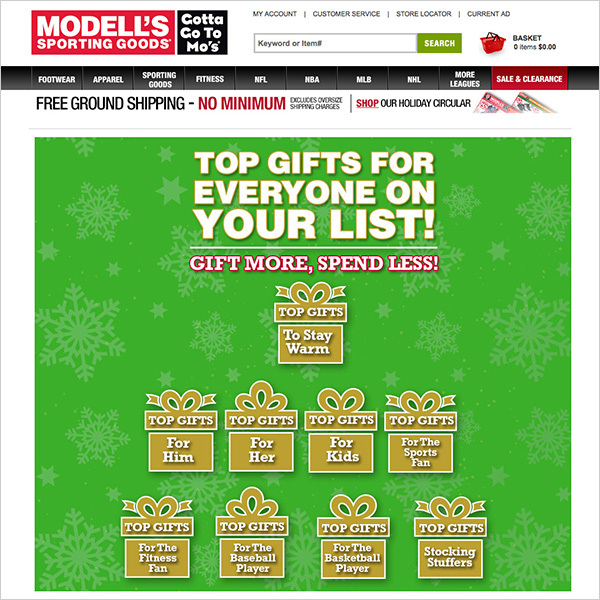 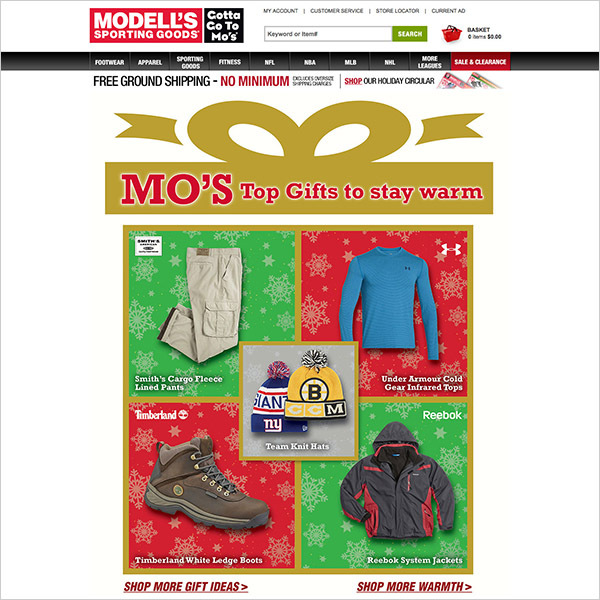 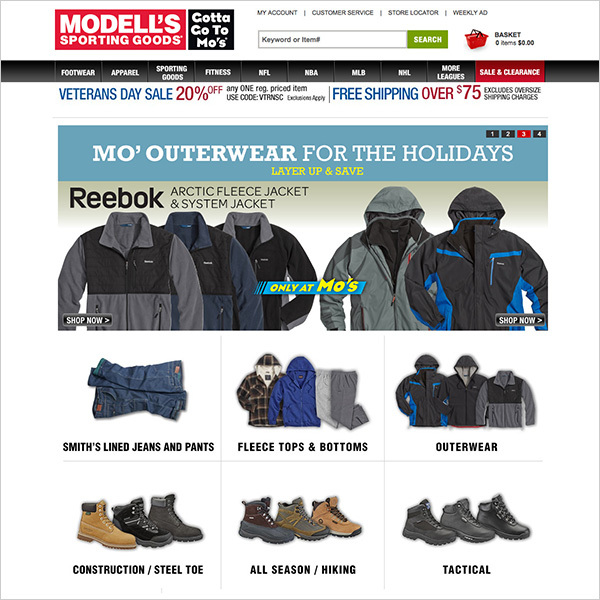 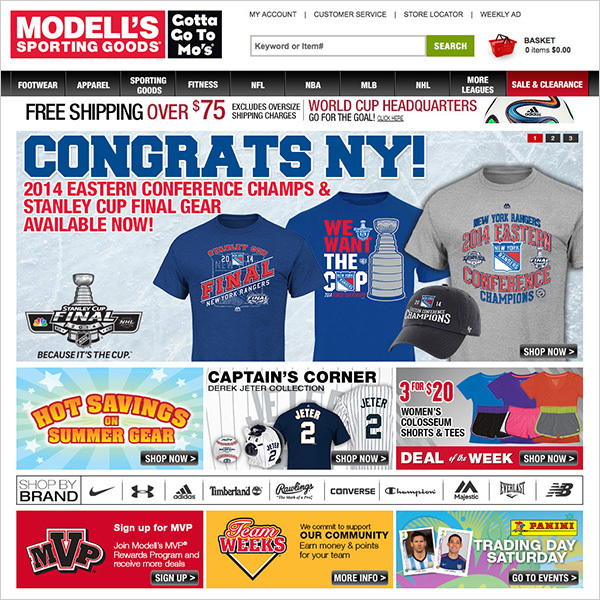 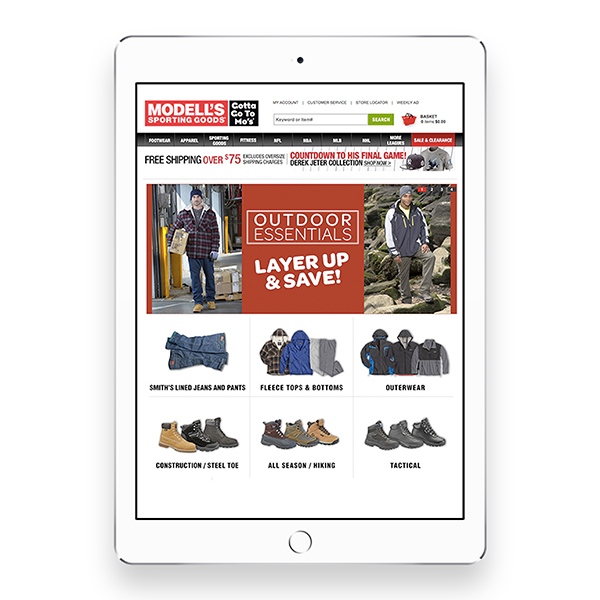 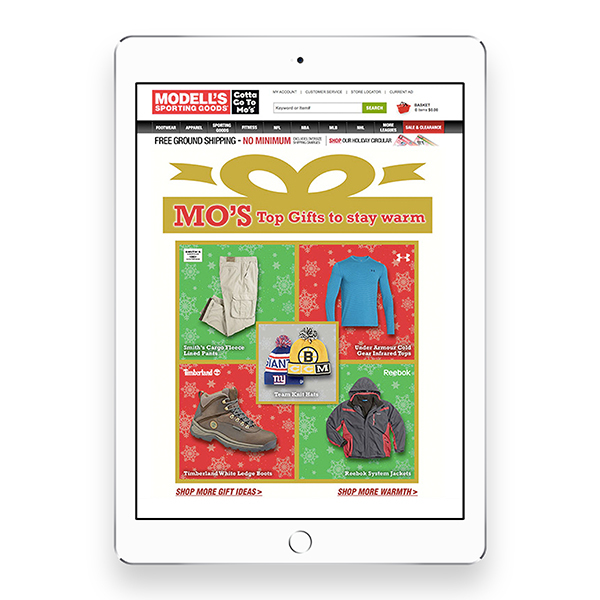 While there was typical maintenance of adding to the CMS (Modell’s was using Market Live and Shopatron for their e-comm partners), there were also seasonal campaigns that supported advertising and direct mail. 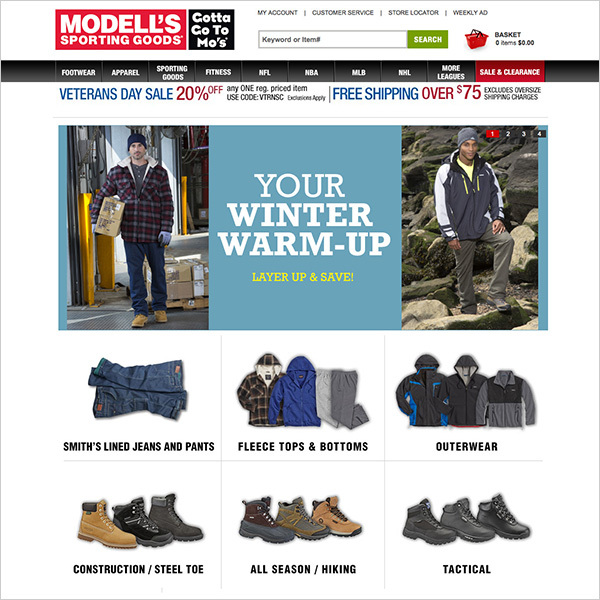 Typically they were a combination of home page sliders, micro sites and landing pages for category groupings. Here’s a few of the campaigns we worked on together.